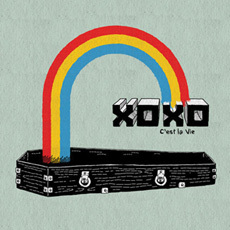 A WARNING ABOUT XOXO: This band should NOT be listened to unless you want to feel better then you did before you hit play. A perfect blend of danceable, grungy, timeless, indie pop & heartfelt coming-of age lyrics, you can’t help falling in love with XOXO, quickly becoming one of Orlando’s prominent break out acts. Since playing SXSW, XOXO have been wooing audiences across America. Their ultra hummable toe tapping debut EP “C’est La Vie” is chock full of Moog injected anthems including “The Dissociative Fugue” & “Merry Times”.